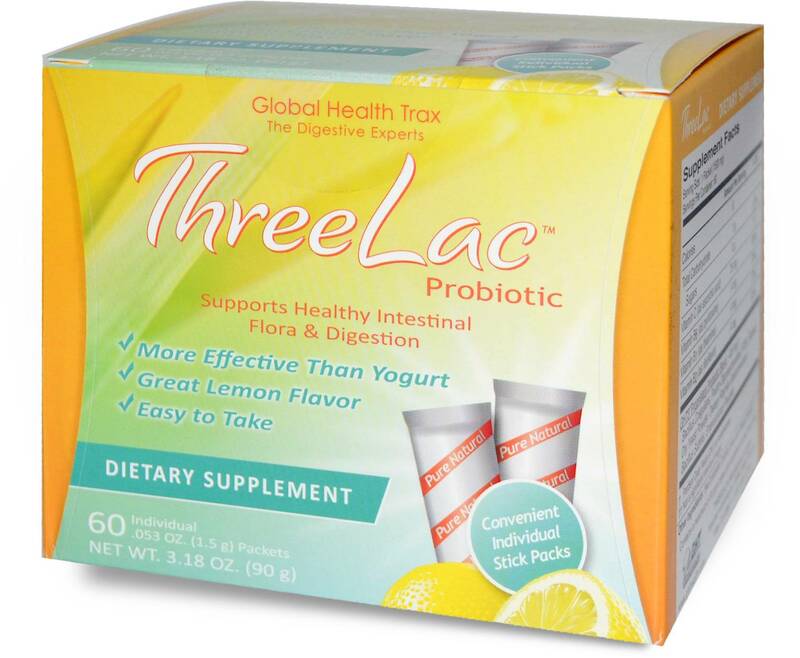 ThreeLac is a powerful probiotic formulation of three potent microflora in a lemon-powder base. 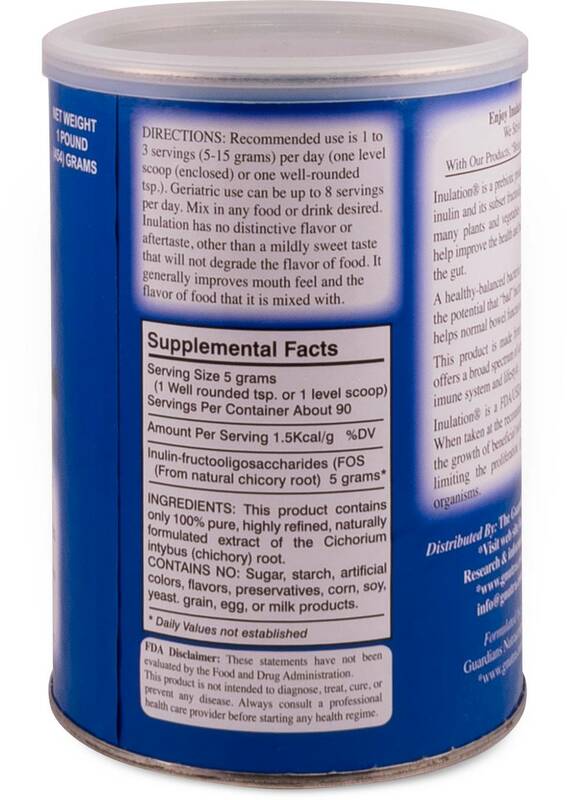 For over a decade, this superior product has provided selected beneficial microflora to the intestinal tract for the purpose of replenishing needed friendly flora to promote intestinal health. 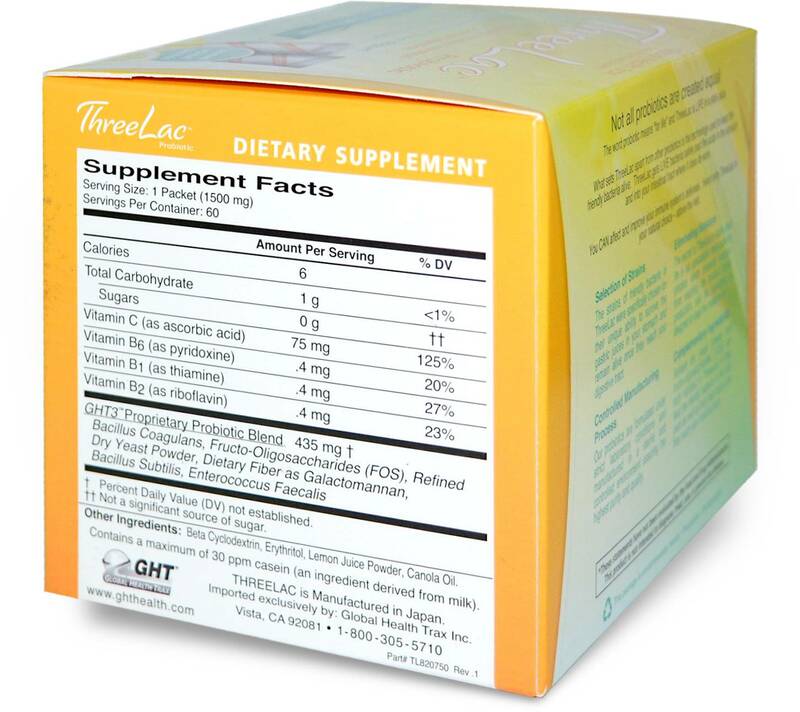 Packaged in individual sachets with a pleasant lemon taste, Threelac fits conveniently into your active lifestyle. Up to a two month supply. 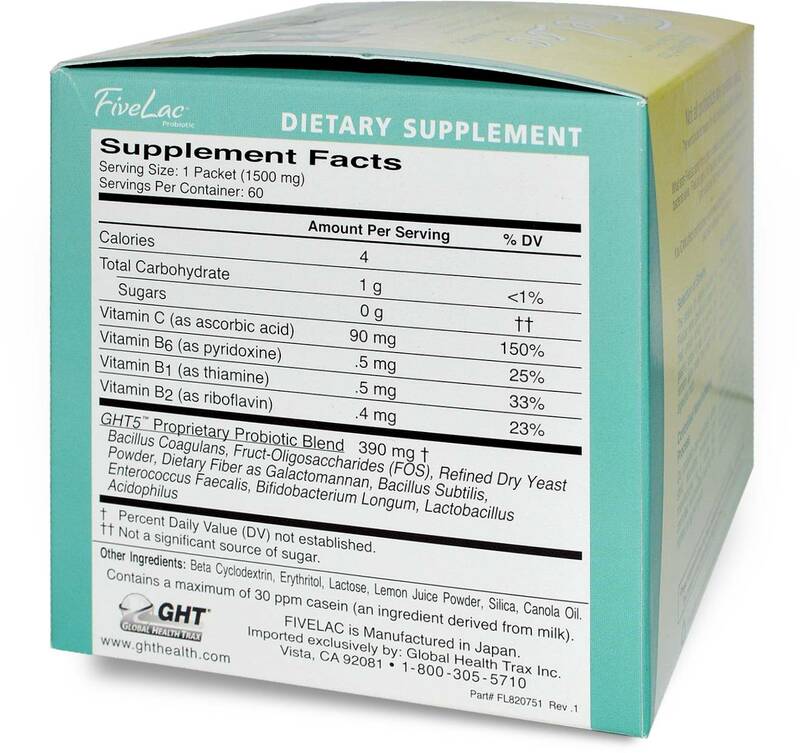 Probiotics are a valuable part of a healthy diet and may play an important role in sustaining overall intestinal health. The prevalence of intestinal imbalances makes a focus on probiotics essential. 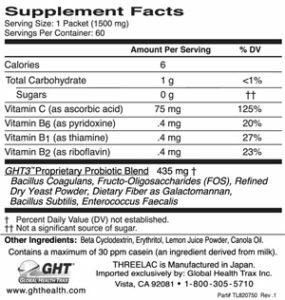 Prevention of imbalance before it occurs is clearly the better alternative. 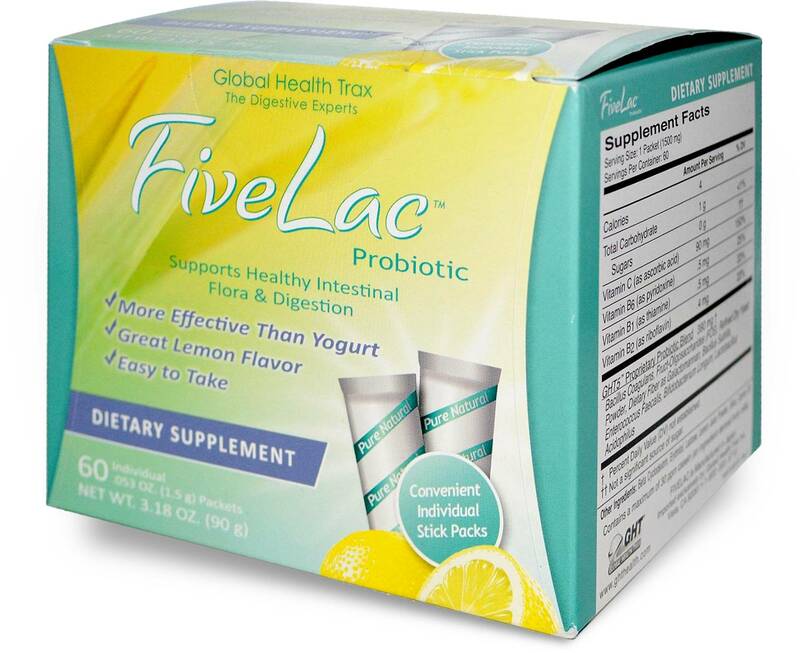 Probiotics may be a safe, cost-effective, “natural” approach that may help act as a barrier against microbial infection. 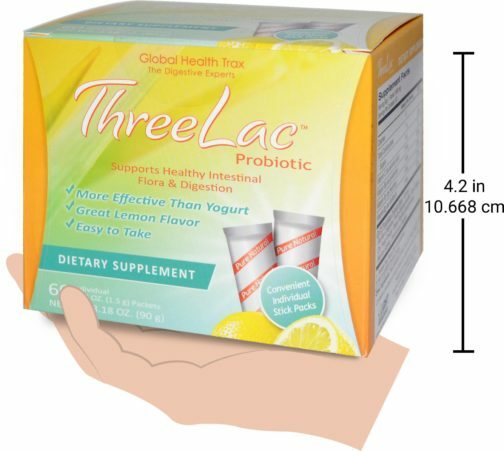 The strains of friendly bacteria in ThreeLac were specifically chosen for their unique ability to survive the gastric juices in your stomach and remain alive once they reach your digestive tract. ThreeLac was formulated in strict laboratory conditions and manufactured in a sterile and controlled environment assuring the highest purity and quality. 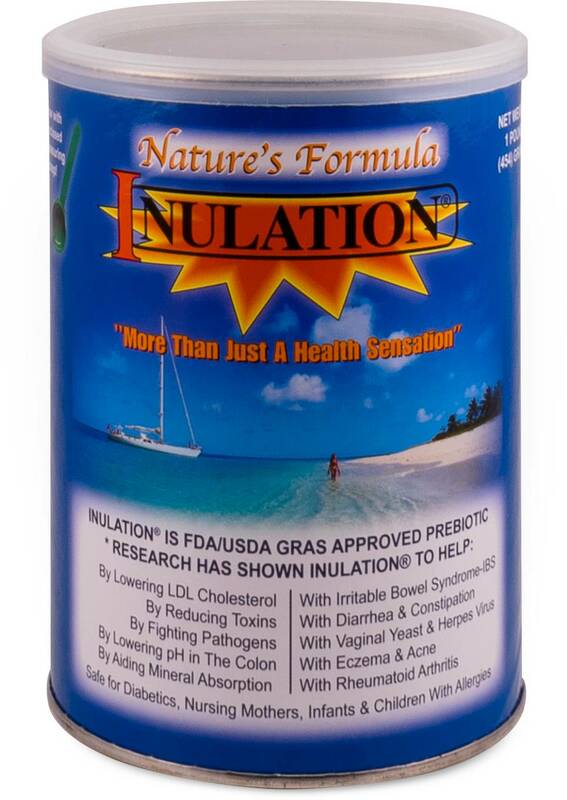 Bacillus subtilis: A probiotic organism that may help crowd out “bad” flora in the intestines. 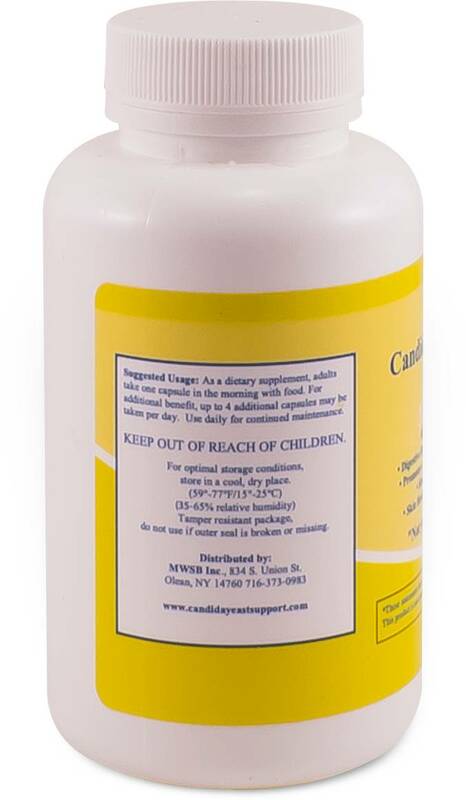 Enterococcus faecalis: The Enterococci constitute a major genus within the lactic acid bacteria group, and exists naturally in the human digestive tract. 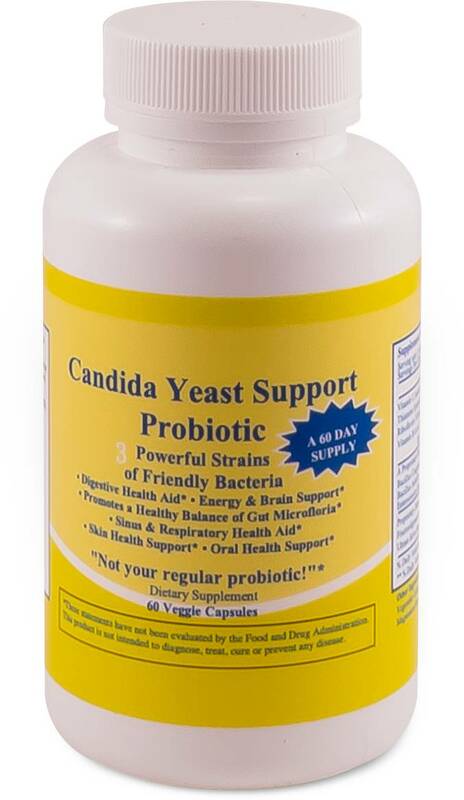 This effective probiotic bacteria is the result of formulation under strict laboratory conditions.